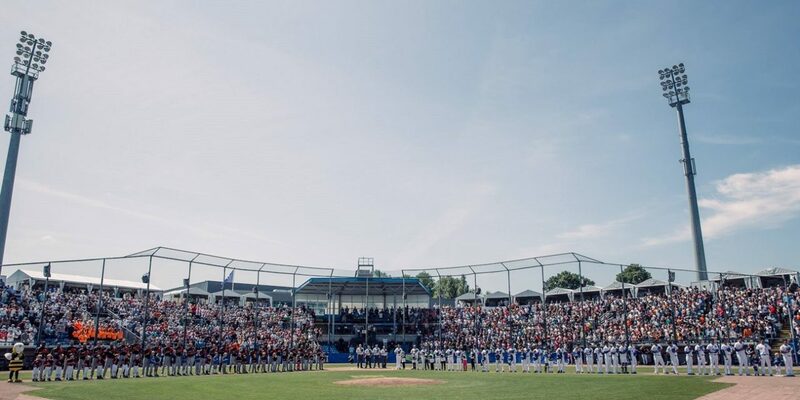 Historical Pim Mulier stadium (cover picture, courtesy of www.honkbalweek.nl) will host the 29th Haarlem Week, a traditional midsummer tournament sanctioned by WBSC. The strong field teams from Cuba, Japan, Chinese Taipei, Italy, Germany and the Netherlands will guarantee a whole week of great baseball. The hosts The Netherlands will have a chance to renew their rivalry with Italy, that hasn’t played in the tournament since 2004, and face the other European powerhouse Germany. Italy, Germany and The Netherlands are 3 of the teams participating in the Super6, the new tournament of the Confederation of European Baseball (CEB), sanctioned by WBSC, that is scheduled to start on September 18 in Hoofddorp, The Netherlands. The other three Nations participating in the Super6 are Spain, Belgium and Czech Republic. The tournament could well be a preview of the level of play that the Europe and Africa Tokyo 2020 Qualifier will offer. 19 july 19:00 #15 Italy – Germany.